Ever dreamed of having your very own cinematic experience right at your living room? Imagine having your very own virtual surround sound from every direction, sans the ceiling reflection or extra speakers. This is a dream come true to any Filipino household. Imagine how you can immerse yourself with the full experience from watching a movie, a TV show, or even when playing games. The Sony Soundbar HT-Z9F and HT-X9000F gives a world-class experience of what it’s like to see, hear, and feel every exciting second of everything you see. 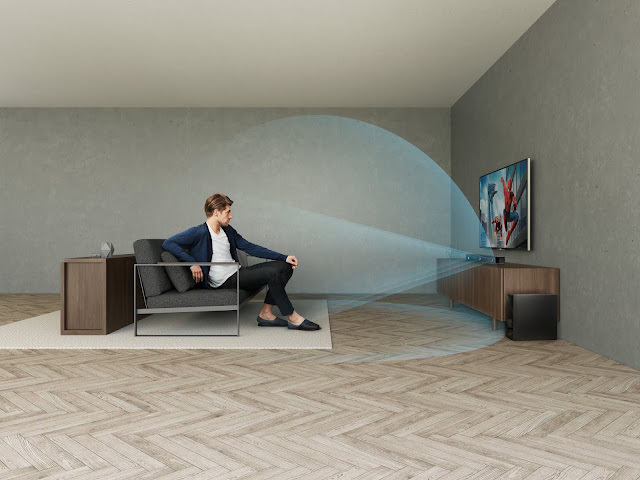 Much like in cinemas, we make sure to get the best seats to get the best viewing and listening experience, but having a Sony Soundbar connected to your television makes every seat in all the corners of your house the best seat. If you’ve watched a movie with the Dolby Atmos soundtrack, you’ll know how truly immersive the experience can be. The true Atmos broadcasts each object of the sound to a specific place in the room, crafted and designed by the same engineers who mixed the soundtrack. With HT-Z9F having the first 3.1ch Dolby Atmos with DTS:X support, it creates a virtual 3-D surround sound experience – allowing you to feel as if you are part of the scene. Sound bars were made for its purpose to resonate the full set of tower speakers into a thin,compact built design. Sony’s HT-X9000F is a full 2.1 channel stereo system that is wireless and wall-mounted. It delivers exceptional high-quality sounds that even low-frequency noises,voices, and vibrations are crisply heard. This is perfectly made for the Sony X9000F Bravia series with its slim and sleek design that best fits minimalist interiors. 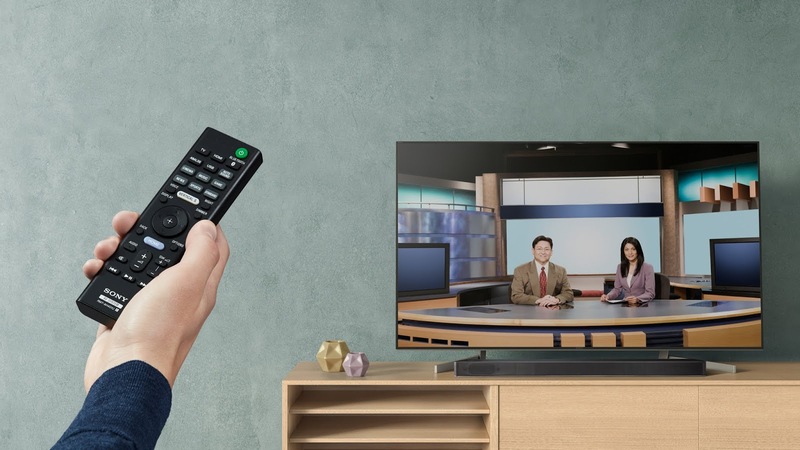 To further capture that feeling of being in a home theatre environment, both devices comes with Bluetooth support and has USB connectivity with 2 HDMI input and 1 output connectivity. The Z9F also has Wi-Fi connectivity for access to music service from the Chromecast built-in. This allows the soundbars to connect to the TV without the eye-sore of clustered cables around the space. Additional features are that the sound bar comes with several special play modes that will recreate your movie screening at home. Cinema mode alters the sound stage to create an emphasis on immersive, three-dimensional sound. Music mode builds on the vividness of your music, helping you hear every detail. Game mode was made for immersion. But with the game mode on, the immersion is the result of the sound stage offering a better sense of distance and motion. News mode provides a focus on voices, helping you hear them clearly over sound effects and background noise. It is also excellent for people who watch TV with closed captioning due to a mild hearing problem. Sports mode is made to emphasize the clarity of voices. This means keeping commentator and athlete voices clear and it provides extra boost to the ambient crowd noise, with the intent of helping you feel like you’re watching the game live. Sony continues its commitment to creating optimal listening, viewing experiences, and stunning design with all these special features made available in the soundbars that is perfect to any Filipino home. Sony fulfills a cinematic experience in a reasonable price with the HT-Z9F priced at SRP 42,299 and the HT-X9000F priced at SRP 31,199. Now movie viewing in your home becomes an accessible luxury that any Filipino home can have. The Sony Soundbar HT-Z9F and HT-X9000F, as well as, other home audio products area vailable at Sony Centres and Authorized Dealers across the country. For more information, visit www.sony.com.ph. Get the SAMSUNG Galaxy A6 & A6+ in PH stores now!